First student team, June 2015.From the left: Rebecca, Sharan, Sven (project manager), Andreas, Manish, Gábor, Agnes, Vincent. The first student team (Spring 2015) consisted of the following members. The second student team. From the left: Ernst, Sharan, Simon,Jiewei, Desirée, Csaba, Rutvika, Shreyas. Rutvika Acharya (Sweden), System engineering, solar array simulation. Desirée Brundin (Sweden), Team leader, experiment interfaces. Shreyas Chandrashekar (India), Detumble control. Simon Görries (Germany), Orbit simulations. Csaba Jéger (Hungary), Attitude simulation tools. Sharan Yagneswar (India), On-board computer. Jiewei Zhou (Spain), Three-axes attitude control. 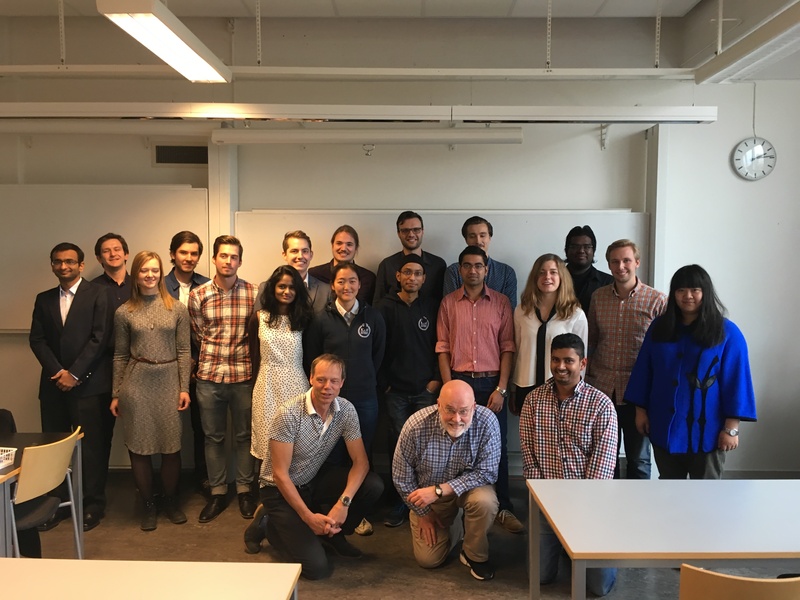 From the left: Nishant, Theodor (supervisor), Agnes (teaching assistant), Richard, Johan, Niveditha, Csába, Niels behind Michelle, Periklis behind Gagan, Jacob behind Rakesh, Cindy, Kavithasan, Aron, Mao-Wei. Kneeling: Christer Fuglesang (astronaut, director), Sven (project manager), Lohith. Jón Reginbald Ívarsson, Team leader. Thomas Agrenius Gustafsson, 3D-printed model & harness assy.